Choice Mail : DigiPortal Software Inc.
DigiPortal Software was founded in 1999. The founder and CTO, Dr. David Jameson, came from IBM Research, where he held a series of senior positions. The VP of Software Development Nebojsa Djogo joined DigiPortal in 1999. The CEO, Ron Weindruch, joined DigiPortal in 2002. He previously built and took public a CRM software company, Paladyne, and held senior general management postitions at both Siemens Telecom North America and Nortel. DigiPortal is privately held. DigiPortal’s flagship product is ChoiceMail, an anti-spam tool for email users. ChoiceMail solves the rapidly-growing spam problem by stopping 100% of unwanted email as defined by each user. Unlike other anti-spam systems, the ongoing effort required by users to control spam with ChoiceMail is minimal. ChoiceMail continues to receive positive reviews in many national publications, including the Wall Street Journal and PC Magazine. DigiPortal earlier developed the OmniViewer family of products. OmniViewer enables users to automatically capture pertinent information from multiple websites, logically archive it, and deliver it to both wired and wireless devices. It can also automatically convert any sources into RSS feeds. 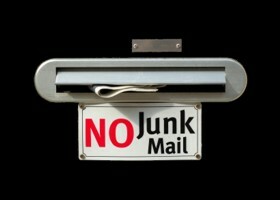 I have used several spam filters but the most effective one I have run into is ChoiceMail One.